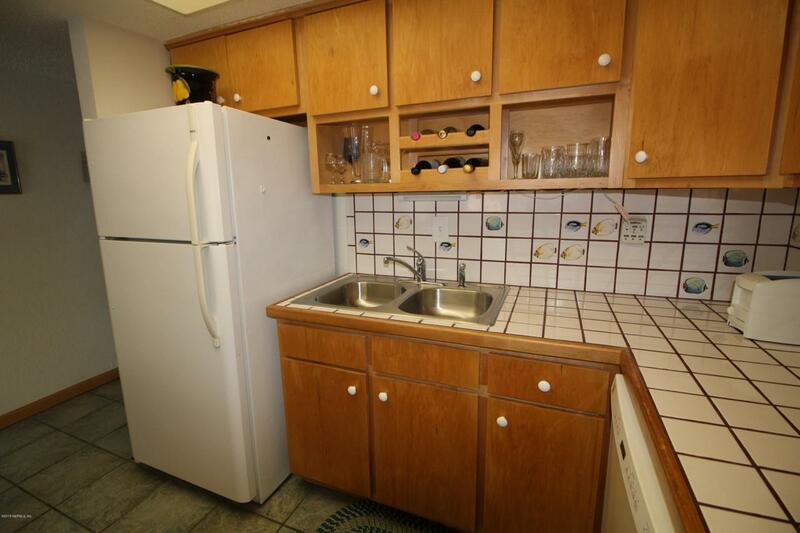 Fantastic Location, Solid Concrete Construction and a Great Price! Only steps to the beach, this 2 bedroom, 2 bath, fully furnished condo in Pelican Inlet is a great value! 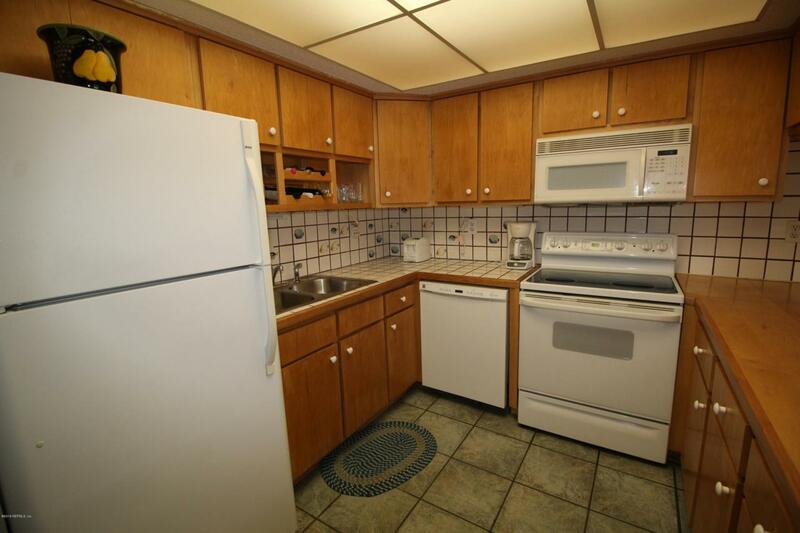 This unit is turnkey and in excellent condition with tile flooring throughout the main area and baths for easy maintenance. The layout has a light and bright, beachy feel and is great for entertaining, with the kitchen and casual dining space flowing nicely into the living room with the screened balcony beyond. 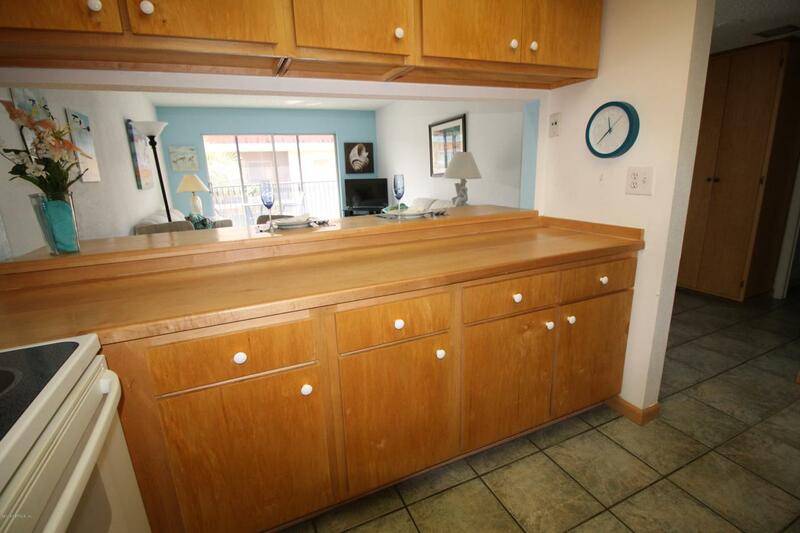 The kitchen features lots of counter space and stylish cabinetry. The bedrooms are large with new Berber carpet and the master has an attached bath with tub-shower combo and a large vanity top. The really large laundry/storage room is the perfect place for your beach gear.You are so close to the beach that listening to the waves and enjoying the sea breeze on the balcony will be an everyday pleasure. This community is directly across from a county maintained beach walk-over and a county boat ramp to the Intracoastal is just steps away. Short term rentals are allowed and there is a rental office onsite. Your community amenities also include a beautiful pool, tennis courts and boat storage. 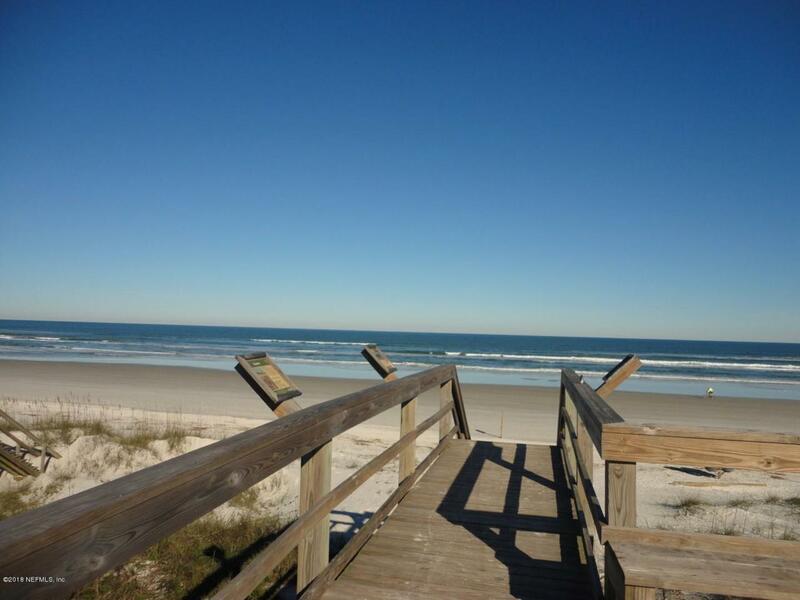 With the Atlantic Ocean and pristine Crescent Beach just steps away you can't go wrong.